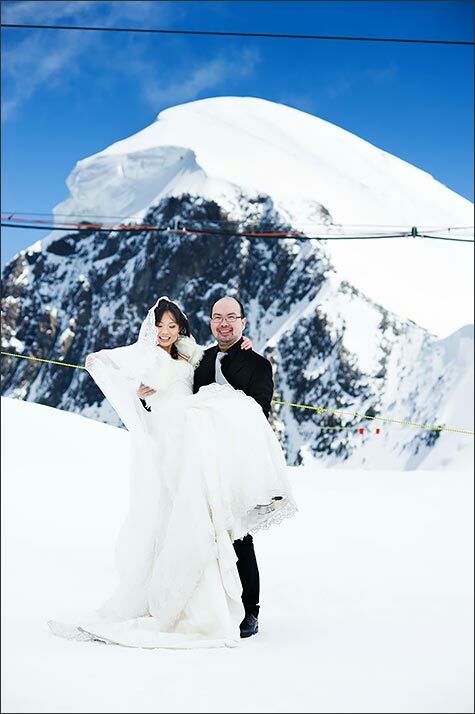 Breaking News… a legal civil ceremony on Top of Mont Blanc! 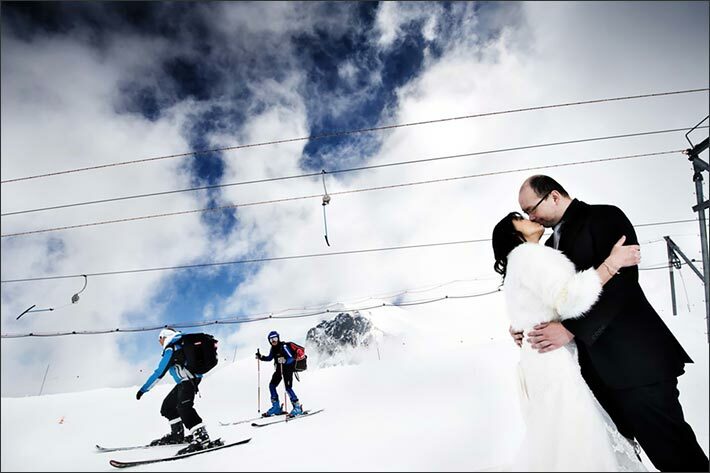 Are you looking for a real dream wedding on the snow overlooking a breathtaking view over Mont Blanc massif? You can have it! Town hall of Courmayeur recently agreed to select Pointe Helbronner at 3462 meters above the sea level as legal site for legal civil ceremonies. You will celebrate your special wedding ceremony outdoor overlooking mountains… just stunning and surely original and unique! We really think that this could be a fantastic idea for a special winter elope in Italy for the ones who really love mountains, fantastic view, breathtaking views and winter setting. We have to remember that we are on Mont Blanc glacier where you can find snow all year. How to get there? No need for mountain climbing! Cable car of Mont Blanc can take you directly to the peak and you will surely enjoy a fantastic trip! It can be a dream for your intimate winter wedding in Italy! A toast can planned to follow. Side of the ceremony venue there is a lift/elevator that will take you down of 90 meters, then a tunnel of 140 meters to reach an historical chalet built back in 1954. You will get to Glacer du Geant and Col Flambeau. The ideal place for a toast. Your celebratory meal can be planned back to Courmayeur..in one of its wonderful hotels or restaurants. Isnt’ it a great idea? We are pleased to show you here some photos of the location… and we also take the chance to remember a fantastic event we planned some years ago just on Mont Blanc glacier: Laverne and John’s wedding shooting. Fantastic setting for sure!